Turning the brief for a Studio 54 inspired party marquee into a reality was as much fun as the party itself. 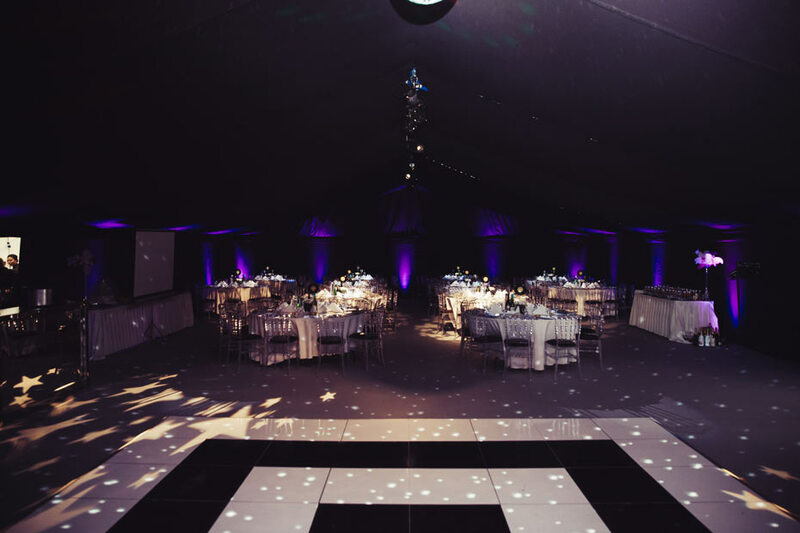 Built in the client’s back garden, the marquee was styled with everything needed to create the disco vibe of the late 1970’s, whilst ensuring practicalities were also taken care of. 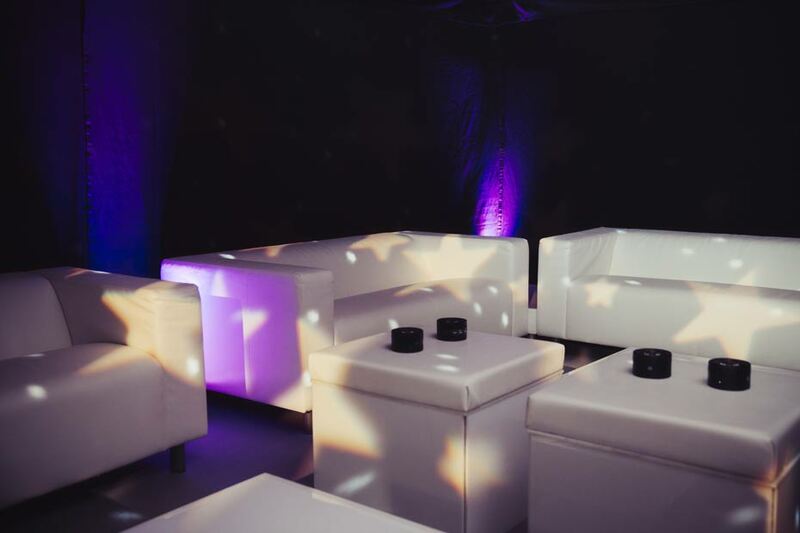 There was a “Studio 54” theme for this 21st Birthday Party at a private residence in Rickmansworth, Hertfordshire. 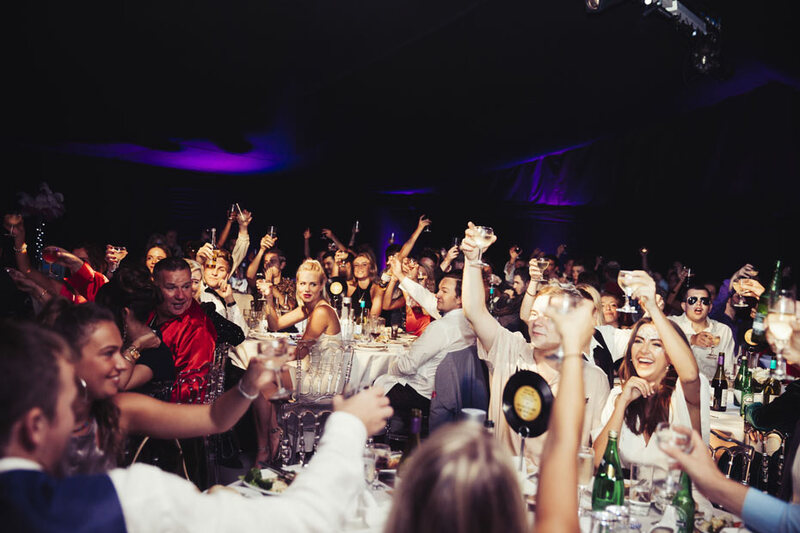 A marquee was required for 120 guests for dining, dancing, bar, live band & DJ area and soft seating area. The client needed power from a generator, luxury loos and an additional catering tent. The marquee was built on the lawn adjacent to the house with an entrance pavilion including poseur tables as guests entered into the party marquee. To create a nightclub feel, we installed a black out roof & wall lining, mirrored cocktail bar, black & white dance floor with multiple mirror disco balls, coloured uplighters & profiles with break-up gobos. We used clear acrylic dining chairs and the soft seating area included LED illuminate cube seats. The marquee was 12m x 21m which took us 2 days to build. The first day we laid the wooden floor and main structure and second day involved finishing the interior, roof & wall linings, positioning of furniture. We provided outside lighting to illuminate the pathway to the loos, which were positioned to the side of the house. 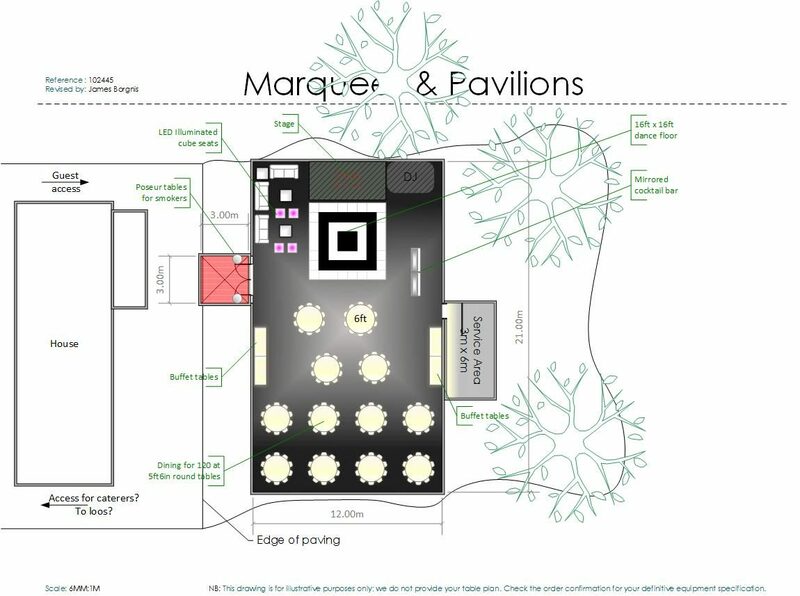 Marquees & Pavilions provided the structures, flooring, loos and power supply. We installed the marquee linings, carpet, lighting and electrical distribution. The client sourced the catering company, Band, DJ and Photographer.